Around the country we have fully stepped into the Summer storm season. 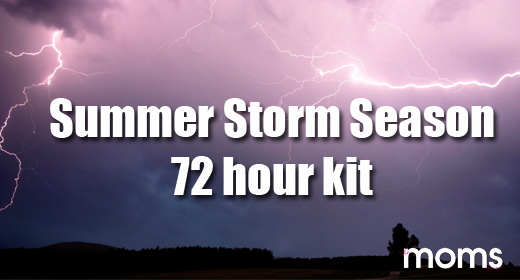 No matter if you’re enduring the Mid-western thunderstorm season or in the Southeastern hurricane season, you may be wondering, what do I need to do to prepare? Everyone talks about these 72-hour kits; do they know how much stuff my kid uses in 72 hours? What about the house? Is there really anything that can be done to make it safer? There are so many places for news information these days, especially with social media — so where do you look to get correct information? As a mom with three kids, I’ve been exactly where you are when it comes to preparing for this season. I’ve felt overwhelmed, lost and confused, with all the information thrown at me, trying to apply it to my life. So it’s my goal with the details below to make your storm preparation a little easier. These kits are meant to keep you from starving or dehydrating, and to make life a little more comfortable in a disastrous situation. While I am not going to cover every single item that should be in your kit I will give you some basics. You should have enough food (to conserve space, think energy bars), water (one gallon per person per day), and a basic first aid kit. You will want to have other items in your 72 hour kit, but those items are going to be determined by your own personal needs. Things like medications and entertainment will depend on you and your family. The government has put together an excellent website at ready.gov that gives a recommended list of supplies. However, some of my must-haves are not found on that list. No worries, though — I’ll share my additions! In the summertime, we love flip flops. In fact, I can’t remember the last time I wore socks. However, after a storm flip flops become one of your most dangerous accessories. Making sure that there is a pair of sturdy athletic shoes and socks in each family member’s kit is key to keeping healthy feet during a disaster. My next must-have is sunscreen. So put a small travel size bottle in each kit. Since you might be spending more time outside than you care to, put a bottle of bug repellent in your kit, too. Entertainment needs vary by person, but make sure children have a little extra entertainment in their kits. I always add coloring books, crayons and left over happy meal toys that were never opened. Last but not least, chocolate or your preferred candy choice! Disasters are stressful, and if you have children (of any age), the time can be even more stressful. Keeping a little bit of sweetness in your kit not only gives you a boost in blood sugar, but also gives you a little bit of luxury — which is hard to come by in a disaster. Is there really anything that can be done to make it safer? Yes, there is. It’s called roof straps. These are metal connectors that you can purchase at Lowes or Home Depot for less than $10. They are installed where your roof rafters meet crossbeams in your roof/attic — and they will help keep the roof on your house during a storm. If you’re in a hurricane state, you may have heard that you should tape your windows to prepare for a hurricane. Well I am here to tell you to put the tape away! The idea behind taping windows is to help prevent them from breaking. However, in most cases during a hurricane, windows break because of projectile objects — like your neighbor’s shingle. Tape is not going to stop your neighbor’s shingle. It is recommended that plywood is used to cover up windows on the outside. Not only will this prevent breaking, but the plywood will stop most projectile items. So remember, tape is not your friend — it’s just going to leave a sticky residue. We live in a world where news is known within seconds of happening. 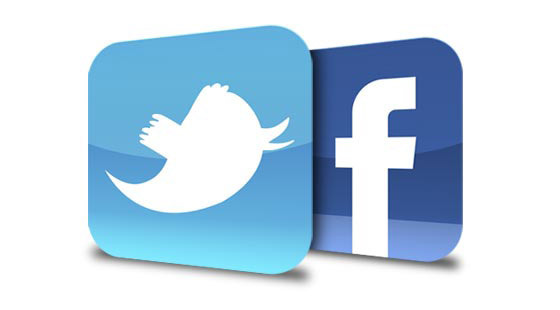 The Federal Emergency Management Agency (FEMA) and the National Weather Service (NWS) have picked up on this explosion of social media and is starting to use it to send out alerts and provide updates. So what does all of that mean to you? It means you should go “follow,” “friend,” and “like” these organizations. Once you do, you’ll receive information about storm severity, watches and warnings. However, social media is not guaranteed if there’s a power outage and/or internet outage. So to be completely prepared, it’s recommend for you to have a battery operated, NWS-approved radio for any possible weather related commutations during and after the storm. Preparing for a disaster can be overwhelming. So make a check list, throw in some fun and involve the whole family!